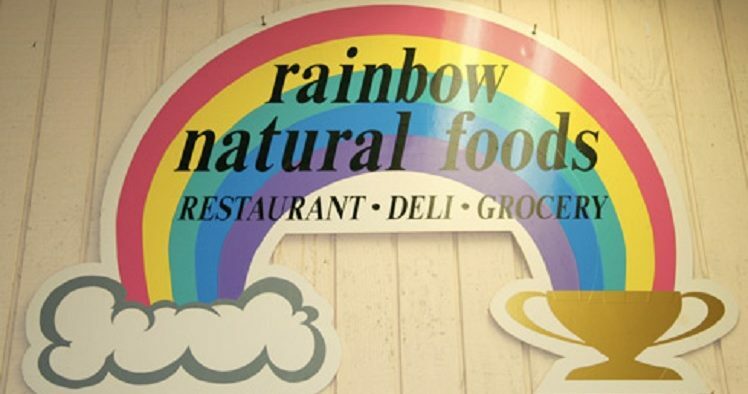 Rainbow Natural Foods has closed North Decatur Plaza, but another local health food store is interested in leasing the space. 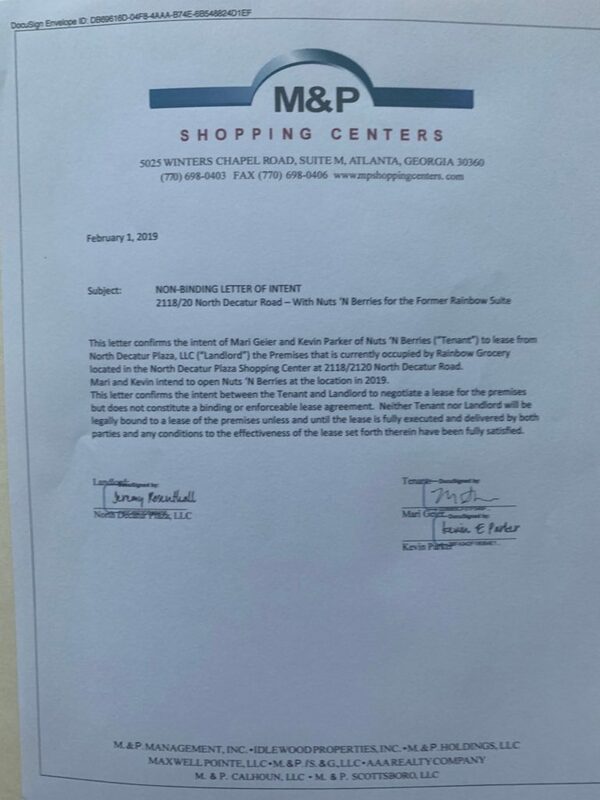 Nuts ‘n Berries Healthy Market has signed a letter of intent with the landlord of the property to pursue a lease agreement for the space. Nuts ‘n Berries address is 4274 Peachtree Rd NE, Atlanta, GA 30319, but the owner says it is actually located in Brookhaven. The plan would be to reopen the former Rainbow Natural Foods store sometime in 2019. Kevin Parker, owner of Nuts ‘n Berries said there are still some things required to make that work, including an investor. The need to bring the property up to code was one of the reasons Rainbow’s owners decided to close the store. The upgrades made it hard to attract a buyer. Tony Castaldi, 64, co-owned Rainbow with Jim Emerson, 86. The company held a “Thank You, Goodbye” day on Sunday, Feb. 3. Castaldi told Decaturish that there were people interested in buying the store, but he said their interest waned when faced with the cost of bringing the building up to code. “They learned and we learned that any time a business changes [hands] in DeKalb County and it’s over 3,500 square foot retail, that everything has to be brought up to the current code,” Castaldi said. 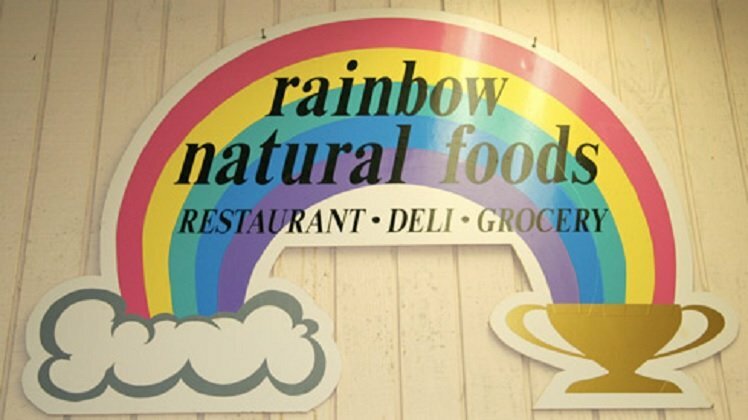 Before Whole Foods and Sprouts, Rainbow Natural Foods was offering customers organic groceries, vegan food options, hard-to-find supplements, and a beloved hot bar. General Manager Laura Pallas’ decision to retire was another reason Castaldi and Emerson decided to close the business. Other factors were behind the decision as well. Castaldi said when a Sprouts grocery store opened nearby, it cut into Rainbow’s business. Nuts ‘n Berries has been around almost as long as Rainbow, which opened in 1976. Nuts ‘n Berries opened in the Atlanta area in 1980, according to the company’s website. To learn more about Nuts ‘n Berries, click here.